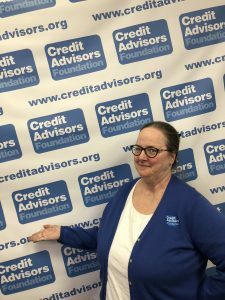 If you or someone you know needs help with debt, bankruptcy, or housing counseling, The Credit Advisors team is here to help! Call 1-866-966-7662 to speak to one of our knowledgeable and friendly counselors. Financial peace-of-mind is possible! We have offices in Omaha, Nebraska, Council Bluffs, Iowa, and Phoenix, Arizona, but we serve clients across the country! Here’s a little more about the great people who can help you become debt free. 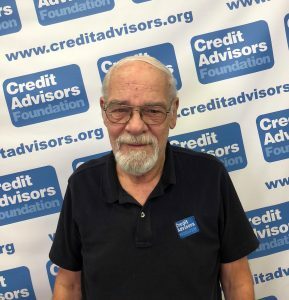 No stranger to financial education, Todd has been a credit counselor since 1969! To be more accessible to our local partners, he works out of Omaha’s Habitat for Humanity office regularly throughout the week. 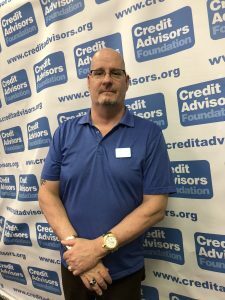 Like all our counselors, Todd helps clients with financial distress ranging from home loan modifications to reducing credit card debts. 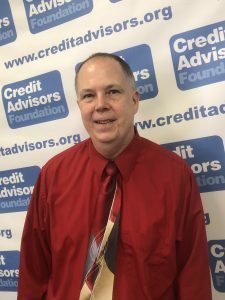 His biggest advice to consumers is, “don’t use payday loan companies!” Todd is all too familiar with clients struggling due to high interest payments from payday loans. Outside of the CAF offices, Todd enjoys spending time with his four children and seven grandchildren. 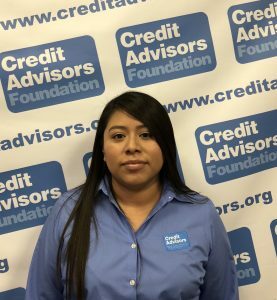 In her fourth year at Credit Advisors, Darlyn wears many hats, including bankruptcy counseling and working with our Spanish-speaking clients. A common problem she helps clients through is overdependence on credit cards. She says that while it can be tough to quit old habits, clients breathe “a sigh of relief” once they start fresh with healthy financial routines. She and her two kids enjoy exploring Omaha’s parks and she loves shopping at the farmer’s market. Daniel is in his third year of credit counseling and prides himself on being straightforward and personable with clients, making stressful situations manageable. His advice: “confront consuming!” He challenges clients to look at the root of their debt problems, often overspending, and push themselves to cut back on unnecessary purchases. Dan loves visiting Scotland and cheering on the Huskers, but says his two boys are his first priority. Myong Hui is our bankruptcy specialist, helping make simple what can be a difficult and stressful process. She also works with Korean-speaking clients. 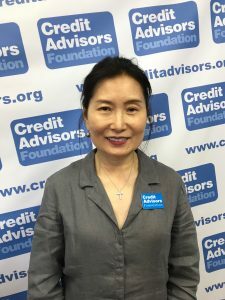 After 21 years with Credit Advisors, Myong Hui has the knowledge to help clients through their unique financial situations. Outside the office, she goes to daily yoga and enjoys volunteering at church with her husband. Michaela is our Director of Community Education, presenting at schools and other organizations. Her classes cover budgeting, buying a house, dealing with creditors, and more. 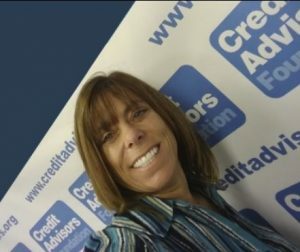 She must be doing something right, because she’s been with Credit Advisors for 27 years! Michaela previously worked as a lender, so she understands how creditors approach indebted clients. Advice she gives is, “don’t let the guilt, anger, or shame of how you got into financial problems get in the way of solving them now for a better future!” Outside of work, she enjoys painting and storm watching with her husband. Anissa is the Director of Enrollment and DMP Client Services. She works out of our Phoenix office, serving clients from across the United States. Anissa advises to not “keep up with the Jones’s” and worry about your peers’ spending. Use the spending habits that are best for YOU! She enjoys spending time with her husband, a retired Army veteran, and their three dogs. She also partakes in competitive gun sports. Lisa is our Director of Housing Education and Counseling, meeting with clients one-on-one and presenting to groups on a variety of housing topics such as buying a house or managing mortgage payments. 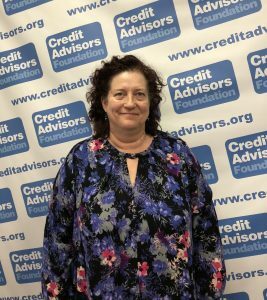 She has been with Credit Advisors for 25 years, and previously worked in bankruptcy and lending. Lisa reminds renters that the best way to protect their rights is to always be on a lease. She also tells renters looking to buy that there are generous down payment assistance programs that are often overlooked. Alternating between our Omaha and Council Bluffs offices, Tom has been helping people out of debt for 21 years. He often deals with harassing creditors, taking over contact so clients no longer need to field tormenting phone calls and emails. For people looking to improve their situation, Tom advises to keep balances on all open accounts. It is important to know the state of your finances in order to improve them! When he’s not helping clients get debt free, Tom enjoys spending time with his kids and working in his yard. 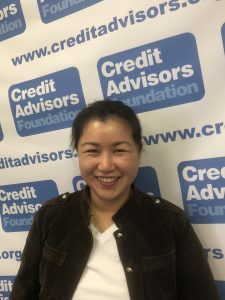 O is the Manager of Bankruptcy Counseling at Credit Advisors, helping clients here for 15 years after previously working as a test administrator. She recommends clients have a budget ready when they call Credit Advisors. The more knowledgeable of their finances a client is, the easier it is for us to help! Of course, we do work with clients in all stages of debt and financial preparedness. In her free time, O is an avid hiker. 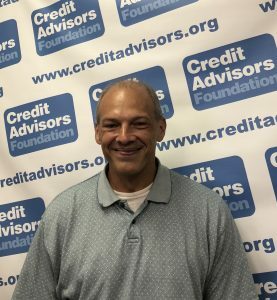 Previously working in telecommunications, Lane is now in his 17th year with Credit Advisors Foundation. Working with clients, Lane finds the most common issue is living on credit cards with unsustainable credit spending, and he recommends never spending more than 30% of a card’s limit. Lane doesn’t stop helping people when he clocks out, as he enjoys doing community service with the Omaha Freemasons, of which he is a fourth generation member. He also enjoys spending time with his loyal dachshund, Schwartz.